New Endurance Vortex MaxLife Piston Pump - Breakthrough vortex rotating rod technology. Lasts 6X longer between repacks with innovative MaxLife technology. Oversized passages for high velocity flow to rotate piston for even wear Longest life packings and piston rod Long life ceramic and stainless steel balls included for maximum versatility. MaxFlo 2 with Pack-Out Protection - Less pack-out, more productivity. Self-cleaning Vibra-Seal Technology eliminates material build-up. Continuous spraying with True Pack-Out Protection for more productivity. Optimized fluid passageways for the heaviest coatings. SmartControl 4.0 with ProGuard Protection System - Precision pressure control. Lowest dead band at any pressure delivers a consistent spray fan without pressure fluctuation. Prevents electrical damage from extreme jobsite power conditions. WatchDog Pump Protection System automatically prevents pump damage if the material supply is too low. 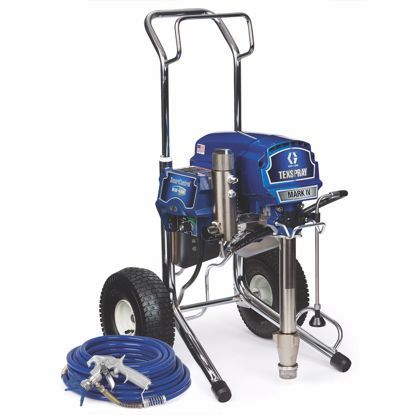 QuikReel Hose Management System Easy Hose Management - Deploy and rewind up to 300 feet of hose in seconds. No twisting, kinking, and coiling. Use only the hose you need — the rest stays on the reel. 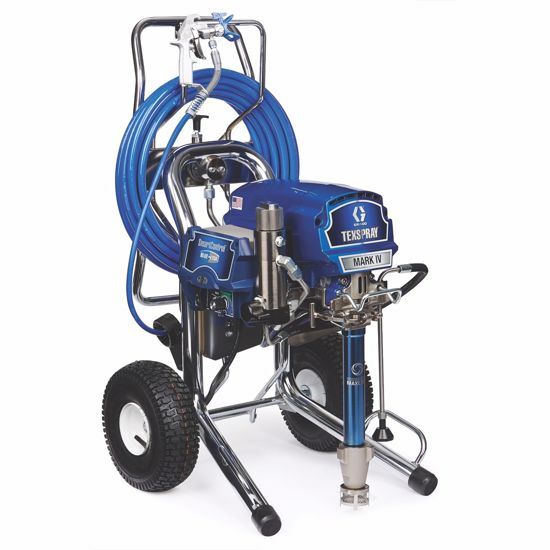 BlueLink Job & Sprayer Management System - Streamline your business. Track every sprayer: Exact location & hourly productivity. Know job progress: On demand productivity facts and reporting from anywhere. Maximize uptime: Set maintenance schedules, alerts, & jobsite notes. FastFlush 2 System - Fast cleaning now even FASTER. Clean the pump 6X faster using ½ the water. High-velocity fluid flow delivered with 60% higher motor speed. MaxPower Motor & Precision Advantage Drive - Proven power and performance for all painting applications. High-torque brushless design with a Lifetime Warranty. The longest lasting drive. Hardened steel gears provide extremely quiet operation and a lifetime warranty.